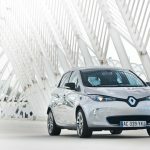 Renault has won two environmental awards at the 2014 Green Apple Awards at a ceremony held at the Houses of Parliament in London this week. 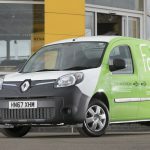 The Renault Kangoo Z.E electric van was awarded the Green Apple Automotive Industry Bronze Award whilst the Renault Clio was named Runner Up in the Small Family Cars category. 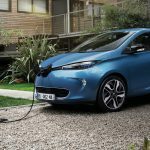 These two accolades build on Renault’s success in previous Green Apple Awards. 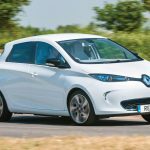 Last year, the Renault ZOE electric car took the Overall Winner prize as well as being named Best Small Family Car and in 2012 Renault was applauded with two awards for its commitment to zero emissions motoring. The awards are organised by the Midlands-based The Green Organisation and were judged by members of the Midland Group of Motoring Writers. The Renault Kangoo Van Z.E. is the world’s first 100%-electric van produced directly by a mass-market vehicle manufacturer. 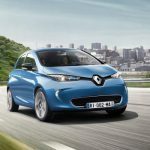 It provides zero tailpipe emissions and silent motoring that is ideal for commercial use within urban environments. The 44kW electric motor and 22kWh lithium-ion battery provide 226Nm of torque, available from rest, which allows for smooth, linear acceleration. 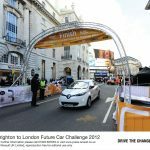 The official range of 105 miles means that the vast majority of van users’ daily driving can be done on one charge. Kangoo Van Z.E. 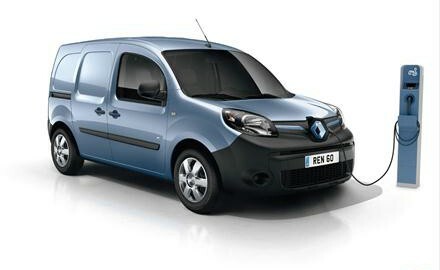 is available in four versions – Kangoo Van Z.E., Kangoo Van Maxi Z.E. (2 seats), Kangoo Maxi Crew Van Cab, and Kangoo Van Z.E. Maxi Crew Van (5 seats) – and is priced from £12,995 (+ VAT, after Plug in Van Grant) complete with a four-year/100,000-mile warranty and four years’ roadside assistance.